Matthew Baker was born in Sydney, Australia. In 1997 he completed a bachelor’s degree with honours in Medieval Studies at the University of Sydney. His musical background was in liturgical singing and oratorio and in 2000 he moved to Ireland to be a Lay Vicar in the choir of St. Patrick's National Cathedral, Dublin. Since then he has specialised in Baroque performance, receiving the degree of Master of Music (Early Music Singing) from the Royal Conservatory in The Hague in 2005. His teachers included Michael Chance, Jill Feldman, Marius van Altena, Barbara Pearson and Diane Forlano. Matthew appears frequently in oratorio and opera performances in the Benelux and France with directors Jos van Veldhoven (Netherlands Bach Society, Utrechts Barok Consort), Jos Vermunt (Residentie Bach Ensemble), Françoise Lasserre (Akadêmia) Paul van Nevel (Huelgas Ensemble) and Christina Pluhar (L’Arpeggiatta). He is also regularly a soloist or ensemble member in performances in the early music festivals such as Utrecht, Antwerp, Bruge, Vezelay and Saintes. 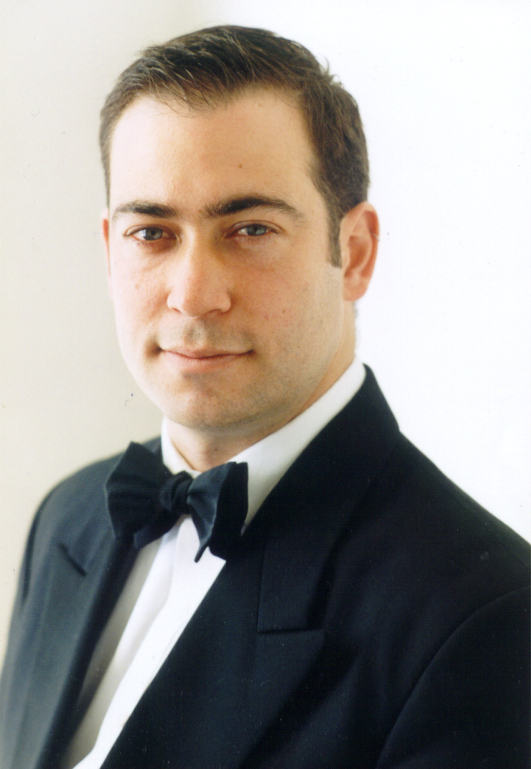 In England he has performed as soloist with the City of London Simphonia and the St Albans Bach Choir and in Germany with the Düsseldorfer Symphoniker. In 2005 he performed the role of Sylvandre in Campra’s L’Europe Gallante under the direction of William Christie in the Ambronnay Academy. In 2006 he sang the roles of Giove and Nettuno in the first modern performance of Zamponi’s Brussels opera Ulisse al Isola di Circe in the Spring festival in Brussels. Also in 2006 Matthew won the prize for the bass arias in Handel's Messiah in the Concorso Internzionale di Canto Solistico of the Fondazione Seghizzi in Gorizia in Italy. In 2008 Matthew sang Apollo in a Baroque staging of Handel’s Apollo e Daphne in the Staatstheater in Karlsruhe during the Handel Festival. His recordings include the role of Aeneas in Purcell’s Dido and Aeneas with director Jed Wentz (Brilliant), Christus of the St Matthew Passion by Heinrich Schütz (Zig-zag), and Anima Dannata in Cavallieri’s La Rappresentatione di Anima e di Corpo (Alpha). With Dutch ensemble Le Nuove Musiche, Matthew recorded the complete madrigals of Monteverdi for Brilliant classics.